Cadillac is home to a variety of retail and service-sector firms. Downtown Cadillac is a place where one can purchase a washing machine, get a haircut, have lunch, browse a bookstore, and stop at the bank, all within walking distance of one another. 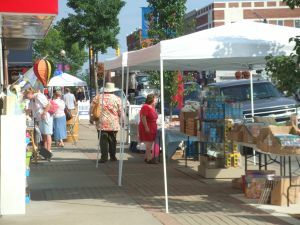 The Mitchell Street corridor is Cadillac’s “Main Street,” and it is home to both businesses that are unique to Cadillac and those that are regionally or nationally-based. The Cadillac Resort District is located between Lakes Cadillac and Mitchell and businesses there cater to the thousands of visitors that stay in Cadillac’s campgrounds and hotels.